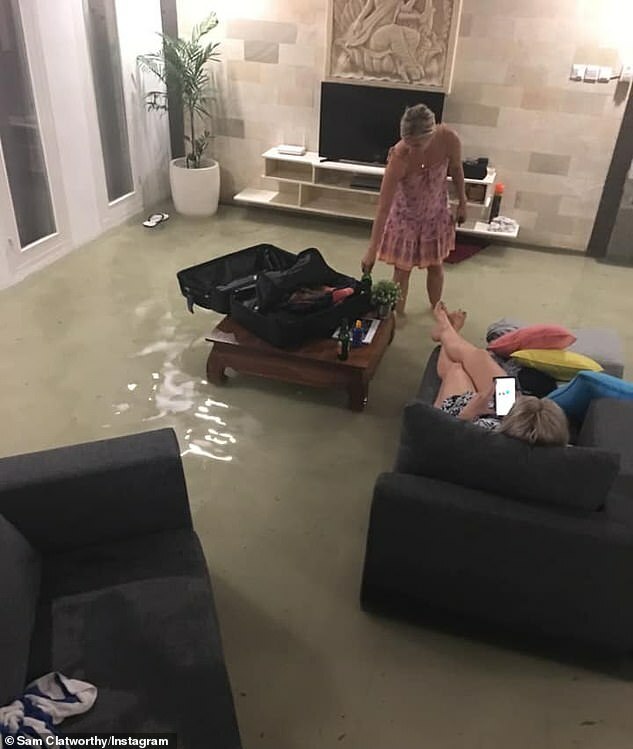 An Australian family’s relaxing holiday in Bali has turned to horror after the villa they were staying in flooded with water. Sam Clatworthy and his family travelled from Queensland to Seminyak in Bali’s south to stay at the luxury accommodation. However after the region was hit with torrential rain, the group were left wading in water throughout the villa. Despite the stressful situation, the group still managed to kick back on the couch and relax with Bintang beers on the coffee table. ‘So a bit of rain last night…’ Mr Clatworthy wrote to Facebook. 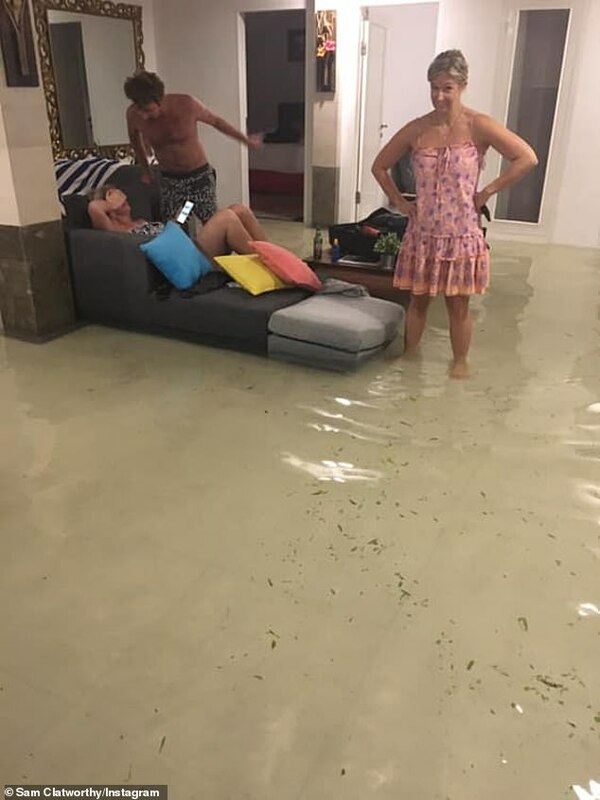 Images and video posted online show the group jumping around in the flooded villa while attempting to figure out their next move. Mr Clatworthy laughed the matter off as he held up a ‘welcome’ sign while ankle-deep in the rainwater in the villa’s living room. In addition to Seminyak being hit with rain overnight, it continued to heavily pour into the day, leaving no respite for the group. ‘The street isn’t like this just our villa,’ Mr Clatworthy said. They had to put all of their belongings on top of furniture strewn around the accommodation in an attempt not to ruin it. Images show suitcases on top of tables and couches floating away as the water continues to rise. 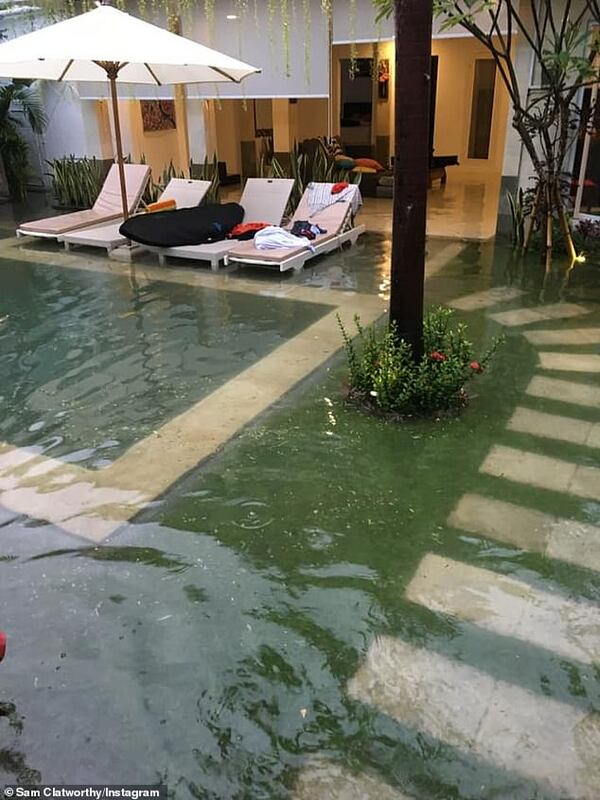 Another woman who is also holidaying in Bali commented that the rain was so bad her yard and pool were a ‘lake this morning’. Daily Mail Australia has contacted Mr Clatworthy for more information.